Pittsburgh Home Inspectors :: Inspectioneering, LLC. Inspectioneering: Your Personal Building Consultants for Life! Dedicated to providing you "peace of mind" by helping you to understand the condition of your home. Welcome to Inspectioneering LLC., a locally owned home inspection company serving the greater Pittsburgh area. At Inspectioneering, our goal is to provide our clients with the most informative home inspections and home inspection reports available in the industry. Our home inspector has years of experience in the construction field having owned and operated a construction company. Before our home inspector became certified by the American Society of Home Inspectors, he was under the close tu tillage of a licensed structural engineer, performing hundreds of mentored home inspections as well as specific structural inspections to ensure he was an expert in all areas of the home inspection field. This broad knowledge of the construction industry,coupled with our unwavering drive to provide our clients with the best most informative home inspections available is what makes Inspectioneering LLC. the only choice for home inspections in the greater Pittsburgh area. You need an inspector that is not only knowledgeable about home inspections but also can convey the findings in a way that is easy to understand. As a home inspector my goal is to ensure that you are properly informed to make the best decisions possible for the biggest purchase of your life. *200% money back guarantee on all home and commerical inspections performed. *Computerized Report with color photos and Easy-to-Read Summary emailed within 24 hours or less. *Computerized Report emailed to your real estate agent as well. *Appointments are almost always available within the next three days. *$25 Military Discount to support the men and women who are currently serving our country in the Armed Services and to honor Retired Veterans and VA Recipients. *Certified ASHI (American Society of Home Inspectors) Inspector. *Top rated home inspector in Pittsburgh. *Sellers check out our "Pre-Listing Inspections" tab for great information on the benefits of a Pre-List Inspection of your property. Do you want Peace of Mind...GUARANTEED? CALL NOW!! If you are not completely satisfied at the end of the home inspection, please let your inspector know and not only will you not pay for the home inspection we will pay for another certified inspection company of your choice to perform the home inspection on the same property, up to the originally quoted inspection fee. We are so confident in what we do we are willing to back it up....Call today to schedule (412) 421-9100 or click on the "Contact Us" tab to request an inspection. Inspectioneering's Industry Leading Home Inspection gives you many Guarantees that other inspection companies wouldn't even think of. Most home inspectors when you ask if their inspection is guaranteed will let you know that their inspection is only good while they are there. With Inspectioneering, you have our 200% Guarantee and you have free consultation for life with your property. To review our company, please refer to ANGIE'S LIST where we have been awarded the SUPER SERVICE AWARD for exceptional customer service three years and running. We provide Home Inspection Services throughout several counties and 100+ surrounding communities. 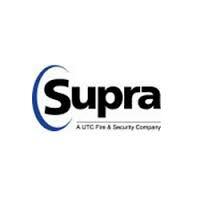 Inspectioneering has access to homes that are lock box equipped via a SUPRA key. We have met all the requirements (insurance, certifications, experience, etc.) of the West Penn Multi-List. Inspectioneering is a proud Affiliate Member of REALTORS® Association of Metropolitan Pittsburgh. Call today to schedule (412) 421-9100 or click on the "Contact Us" tab to request an inspection.